We are proud to present this emerging Latino and our latest SVL Cultura Ambassador Andreas Silva; Andreas Silva is a Financial Representative at Northwestern Mutual. He graduated high school from Bellarmine College Preparatory in San Jose and double majored in Global Business and Spanish at the University of Redlands. At Bellarmine, he was apart of the leadership team for the Latino Student Union on campus and played soccer for two years. At University of Redlands, he was a four-year starting goalkeeper for the men’s soccer team and a member of the International Business Fraternity Delta Sigma Pi. 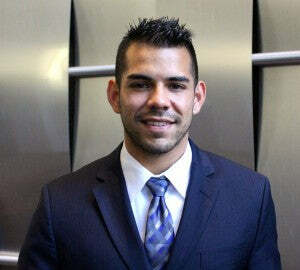 Growing up in a Latino household, Andreas is very passionate about helping other Latinos understand the importance of financial planning and is looking to be a figure in the community where people can go to for help.